Last night between trying to soothe my sore throat and listen to the cold rain tapping on my window I began to reflect on the week. The highlight was hearing anchor/reporter Soledad O’Brien give the keynote speech at the Chicago Foundation for Women Luncheon. The room was packed with 2,000 women from all walks of life and there was such a wonderful buzz of excitement. During the speeches, a bird made it into the dining area. I watched it zig-zag throughout the room and hoped it wouldn’t poop on my head. Thankfully, it didn’t! When the event was over I left feeling inspired! Another person that inspired me this week was a former student of Irasema’s. We ran into her coming out of the Connie’s Pizza. She told us with a beaming smile that she has graduated school and was attending college. She was part of Poetics, a writing group of young girls from the Back of the Yards neighborhood, Irasema had mentored some years back. For me, it is a joy to see the impact that Irasema has made on these young women. This week I also encountered a challenge that left me disenchanted. The lesson I walked away with is don’t assume your community will step up to the plate and advocate for you, your art or your team. This is where the opportunity to educate and encourage advocacy for others comes into play. I feel that if we can’t do this within our own communities we’re screwed especially when we are working on projects outside of our communities. I’m sure that one day I will be able to write about this experience and lesson in more detail. 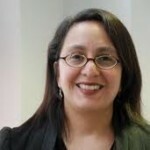 Speaking of journalists, Latina Lista pointed out this week in her post “New York Times reporter violates trust of undocumented immigrant in interview” how Reporter Kirk Semple recently wrote an article “Mexican New Yorkers Are Steady Force in Workplace” and put these undocumented workers and their families at risk by revealing too much information about where they reside. In my opinion, as journalist he should know better than to break the trust of his interviewee who is doing him a favor by allowing him to even interview him in the first place. Latinas telling their stories through the arts Sun. Oct. 3, 2010, 2-3 p.m. The focus of this discussion is Latinas telling their stories through the arts and what impact it has on them as artists as well as what we can do as a community of women in the arts to support creative visions and generate new work to tell our stories. Audience Q&A included. Panelists: Desiree Castro, writer, Thelma Uranga, fiber arts, Laura Vergara, artist. Held at Catedral Cafe, 2500 S. Christiana. It’s a gorgeous Sunday in Chicago! Hope you are lounging and getting ready to hang out with family and friends. Remember to take a moment to remember all of the men and women that are serving in the armed forces. Our next Proyecto Latina is on Monday, June 21 @ 7pm @ Cafe Catedral in Little Village featuring Alicia Vega from Palabra Dulce. Look for the full details later this week. More and more Latinas are converting to Islam. On Sunday’s these women meet at the Mosque Foundation in Bridgeview to study the Quran. Find out why more Latinas are turning to Islam. On Saturday thousands of people converged in Arizona to march against the new immigration law that has caused much controversy. In an essay called Immigration Points That Make Me Sick , Reyna Amaya shed’s some light on the immigration hysteria the many myths associated with immigration. 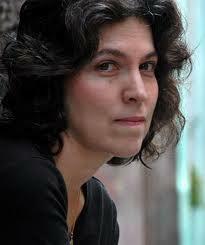 A few years back we met Gwen La Roca when we first featured her at Proyecto Latina . Now Gwen is on the move as a comedienne in Chicago. Proyecto Latina is tomorrow Monday, May 17 @ 7pm at Cedhalia’s Café. This month we plan to Speak up & Speak Out so, we’ve changed the format a little because we want to hear from YOU! Make sure to come out and bring your creative responses to Arizona recent legislation. Our Facebook feeds and Twitter accounts was exploding this week as Governor Jan Brewer did it again by signing into a law an ethnic studies ban in Arizona. What does this mean? It means no funding for Latino/Mexican studies classes, Native American or African American. 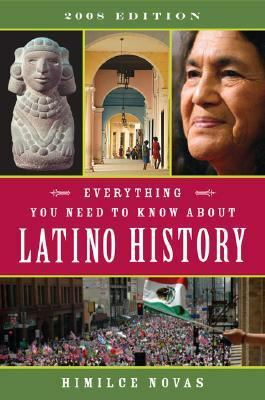 Did you take a Latinos in the U.S. history class or another similar class? How did it impact you? Latina Lista’s Ultima Palabra this week features Drs. 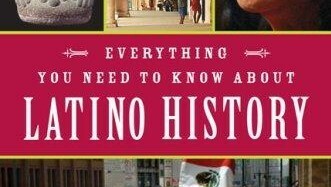 Jessica Lavariega-Monforti & Adam McGlynn write about the lack of Latino contribution in some college textbooks. In other news Jessica Colotl, an undocumented Mexican college student, was released this week. During a routine traffic stop she was arrested for not having a U.S. driver’s license. Ever notice how there doesn’t seem to be enough Latinos in print and broadcast media? Well a nonprofit called Global Girl Media hopes to change that by providing training and experience to young women in GGM’s pilot project, called KICK IT UP!, is based in Soweto, South Africa where 20 girls will be trained in media and how to report on the 2010 FIFA World Cup. At the same time, in Los Angeles, California, GGM has just launched the sister project to KICK IT UP! Called the Global Girl Media Academy. Hopefully, this program will inspire these young women to go into media and report news that matters. Welcome to the new Proyecto Latina website. We are still ironing out a few crinkles but we feel that this new platform is going to better serve our needs. So, go ahead and explore and if you got a thought on something, drop us a line. Also, we want to re-connect with all our friends–new and old–so before you leave join us on Google Friend Connect. 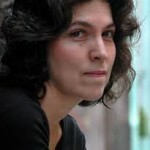 Araceli Hurtado. Image via Chicago News Cooperative. For Many Latina Teens, Gang Life adds to Stress A profile of Araceli Hurtado, outreach worker at a violence prevention agency in Little Village, and 13 year-old “April”–a young Latina and part of the largest segment of minority girls in the U.S.–who is working on overcoming some heartbreaking obstacles. Latinas in Oscar Designer Challenge include Elda De La Rosa, well know in Chicago for her elegant designs. Growing up her grandmother, mother and aunts all sewed and inspired her to learn at a very young age. Via Extra–a link to vote for De La Rosa’s design to be featured at the Oscar’s by on-stage award escorts. Also via Extra this week, a quick look at Celena Roldán, new executive director for Erie Neighborhood House, a social service organization that serves primarily low-income, Latino families. Cast of Afro-Caribbean Latinas populate Sofia Maldonado’s upcoming 42nd St. mural Visual artist, Sofia Maldonado, hopes to stop traffic and describes the women featured in her mural as, “Mujeres que luchan pa’echar pa’lante.” Women fighting to get ahead. On that note we do want to share the opportunity submit your written work. Achy Obejas and Megan Bayles, via a fellowship, have founded Partner Dance Press and placed a call for submissions to, “self-identified women writers, composers, performers and text-based artists under 40 currently living in Chicago to submit work for consideration in a new online text-based anthology.” Deadline is June 15, 2010. View submission guidelines here.